This luxurious edition of the Weichnachts-Oratorio with 2 free CD's is in stores now! It is only available for the Dutch and Belgian markets at the moment. An international release will follow october/november 2007. Also a german version will be released end of 2007 wich additional info from Boris Kehrmann. 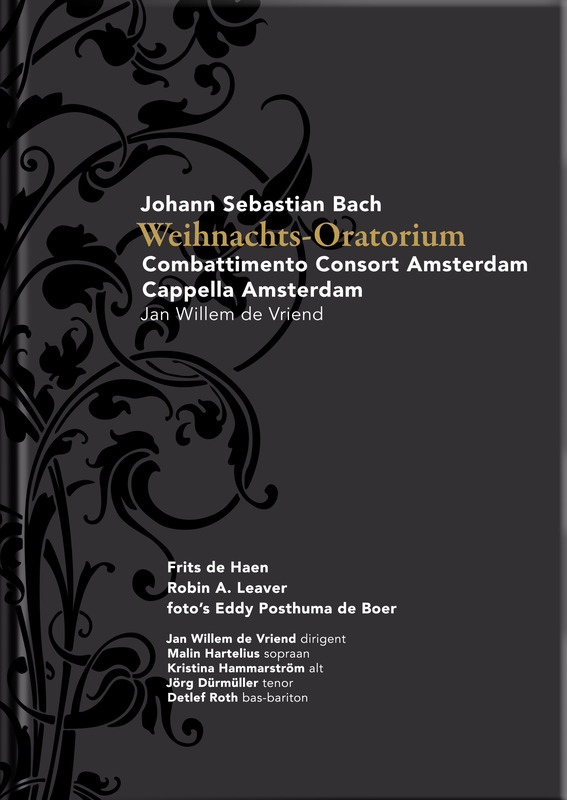 Combattimento Consort Amsterdam and Cappella Amsterdam conducted by Jan Willem de Vriend have made 2 brand new CD-recordings of the famous Weihnachts-Oratorio of J.S. Bach. These are accompanied by a luxuriously produced book containing extensive information about the Oratorio. This has been written by the Dutch musicologist Frits de Haen and the internationally renowned musicologist, theologian and Bach expert Robin A. Leaver. De Haen interviewed conductor Jan Willem de Vriend and writes about the spiritual and worldly aspects of these six cantatas. Leaver goes into the liturgical background of the Oratorio. All this is combined with unique 'Mother & Child' photographs, which have been made by Eddy Posthuma de Boer from all over the world. The focus is, of course, on the magnificent recordings of the Weihnachts-Oratorio. The soloists are singers of international reputation, such as tenor Jörg Dürmüller, soprano Malin Hartelius, alto Kristina Hammarström and bass-baritone Detlef Roth. The emotions Jan Willem de Vriend experienced during his study of the score and later while playing the cantatas seem to correspond with the conclusions that Robin A. Leaver arrived at during his research. There are many musical and textual connections between Bach's Matthäus- and Johannes-Passions and his Weihnachts-Oratorio in which he expresses his belief that the birth of Christ was meaningful and that Christ's suffering led to the redemption of man. To give birth and rejoice, still knowing that your child will have to endure the ups and downs of human existence, hope and fear - all these varied emotions are present in that first moment: when a mother holds her newborn baby in her arms and all of this finds expression in Bach's splendid and moving composition, which celebrates the birth of Our Lord, Jesus Christ on Christmas Day. The superb photographs of Mothers and their children by Eddy Posthuma de Boer give further expression to this joyful message by Jan Willem de Vriend, his musicians and singers. To crown it all, we have the sensitive and insightful text by Frits Haen and Robin A. Leaver to help to elevate this whole production to the realms of a very special Christmas gift to give or to receive. Vierter Teil: Am Fest der Beschneidung Christi XXXVlll. Recitatief (Bas) - Duet (Sopraan, bas) - Immanuel, o süßes Wort! Fünfter Teil: Am Sonntag nach Neujahr XLV. Koor en recitatief (Alt) - Wo ist der neugeborne König der Jüden? Fünfter Teil: Am Sonntag nach Neujahr XLIX. Recitatief (Alt) - Warum wollt ihr erschrekken? Fünfter Teil: Am Sonntag nach Neujahr LI. Terzet (Sopraan, alt, tenor) - Ach, wenn wird die Zeit erscheinen? Last sunday on November the 20th, Jan Willem de Vriend and the Combattimento Consort were live at Kunststof TV, a program from the NTR, together with the internationally renowed singer Claron McFadden.In the show, they talked about Rameau, and his comical though tragic opera Platée. If you've missed the show, click here.For tourdates from Platée click here. 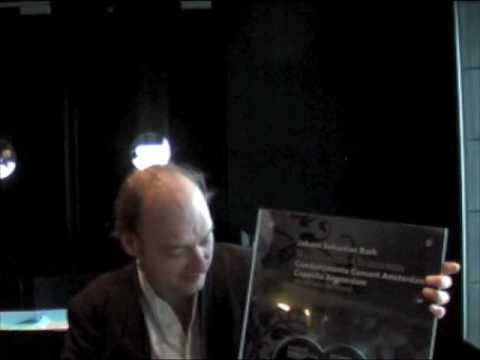 During my visit in NL I bought the NL-Version of this wonderful record of Bach´s Weihnachtsoratorium. Would you please be so kind and sen me (via mail) the German version of the essay of Boris Kehrmann and if possible the English version of Leaver´s essay?